Live Performances → Bad Benson! While a fan of George Benson’s earlier works with the greasy B3 bands of Brother Jack McDuff and Dr. Lonnie Smith, I was not a big fan of the direction he took on some of his jazz-pop crossover recordings. When the Indy Jazz Fest announced he would be one of the headliners at the 2011 festival, I wasn’t that excited but I hadn’t seen him in years and wanted to photograph him. Much to my surprise, Benson put on a fantastic show to an overflow crowd at Opti-Park. 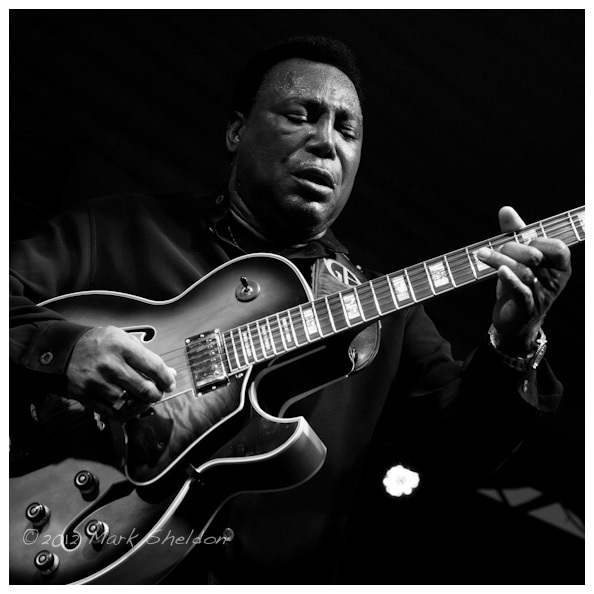 At 68 years of age, he voice was great and his playing was great! He even stopped by another stage for 45 minutes prior to his performance to catch the Guitar Summit, featuring Bill Lancton, Sandy Williams, Frank Steans and Henry Johnson….which was great to see. 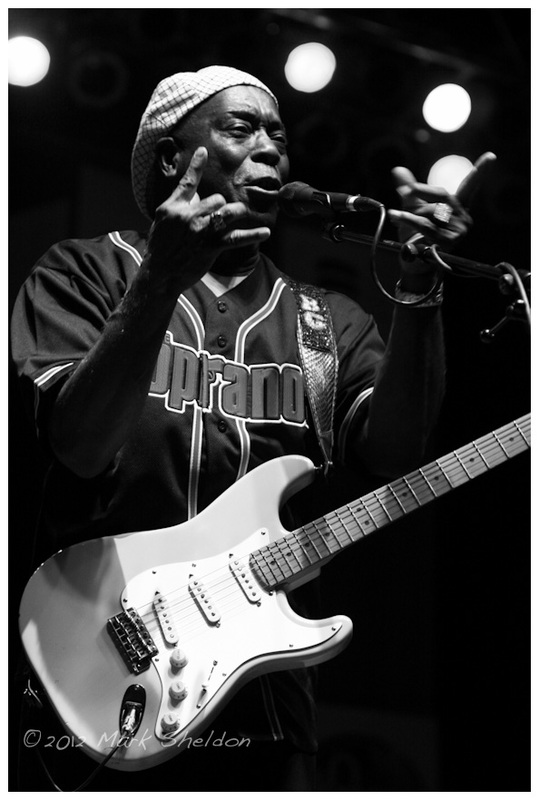 The legendary bluesman Buddy Guy. This image was made in Indianapolis in June 2008. 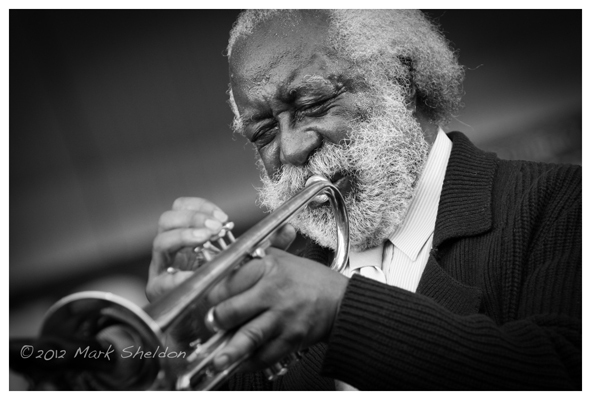 This photograph of the great trumpet player Bill Dixon was made in Chicago during the 2007 Chicago Jazz Fest. Dixon was a featured performer with the Exploding Star Orchestra. 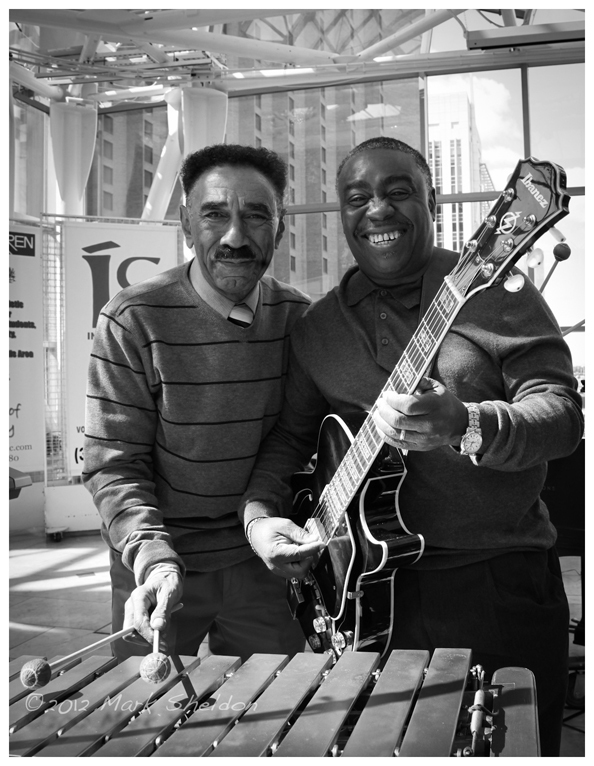 These images of Vibist Billy Wooten and guitarist Steve Weakley were made during the summer of 2011, just prior to their performance at the Arts Garden in downtown Indianapolis. Both of these guys are fun to be around, very upbeat and positive with a ton of interesting stories about the late 60′s & early 70′s in Naptown. I met Billy for the first time around 2004. The naming rights to the Indy Jazz Fest had been purchased by the American Pianist Association earlier in the year after being run by the original organization for several years. Many of the musicians in town were not happy with the direction of the festival and local musician Keni Washington and others organized a one night festival to take place the day after the Indy Jazz Fest. 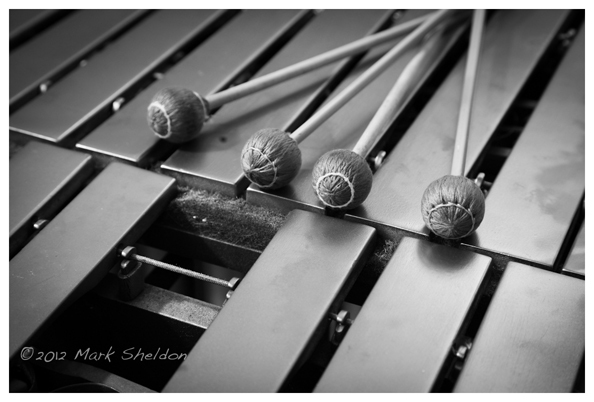 The best of the best Indianapolis musicians were in attendance….Slide Hampton, Freddie Hubbard, Jimmy Spaulding, Jimmy Coe, Pookie Johnson, Phil Ranelin and just about every other jazz musicians associated with the Indy scene. Billy was one of the guys playing this night. Shortly after the set ended, everyone will milling around on stage and I decided to join them. I got into a conversation with Jimmy Spaulding as I had met him the prior year. Freddie Hubbard joined the conversation along with Billy. Freddie and Jimmy had lived next to each other growing up so much of the conversation was reminiscing about that. Although I don’t recall exactly what Billy and I spoke about, I recall I left there thinking here was a guy with a lot to say. 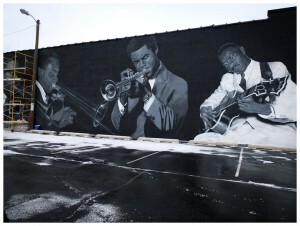 Billy was born in NYC and after spending most of the 60s on the road, he visited and ultimately moved to Indianapolis. 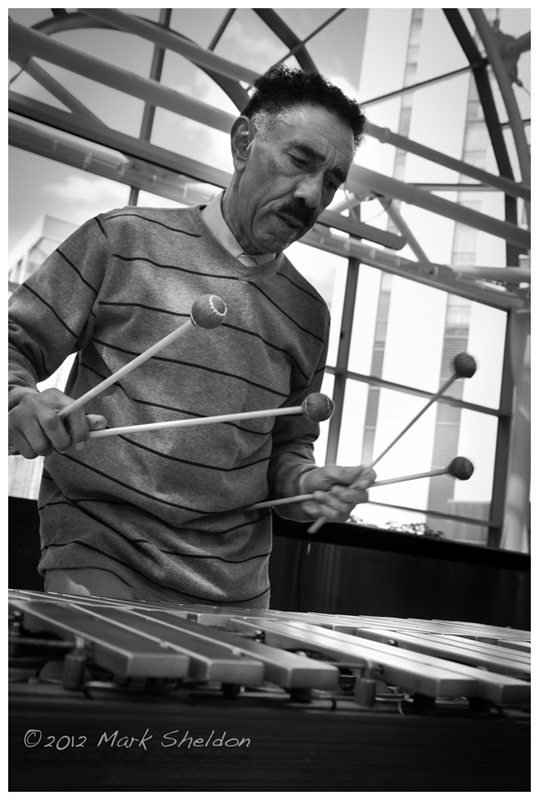 Billy has played with many great artists during his career including Donny Hathaway, Jerry Butler, Gladys Knight & Smokey Robinson. Billy had a great band here in Indy called “Wooden Glasss” which was my introduction to his music. In 1972, Billy recorded a now-legendary lp called “Wooden Glass Live featuring Billy Wooten” which was recorded in Indianapolis at a club called “The 19th Whole” where Billy played for 6 years. If you’re a fan of the B3, guitar, vibes, drums and just funky music in general, track this cd down! In addition, you’ll find Billy on “Visions” and “Shades of Green”, two recordings with one of my favorite guitarists, Grant Green. Billy along with drummer Mad Harold Cardwell, another Indy based musician spent about 3 years with Grant. Live Performances → David Baker’s 80th Birthday Celebration! 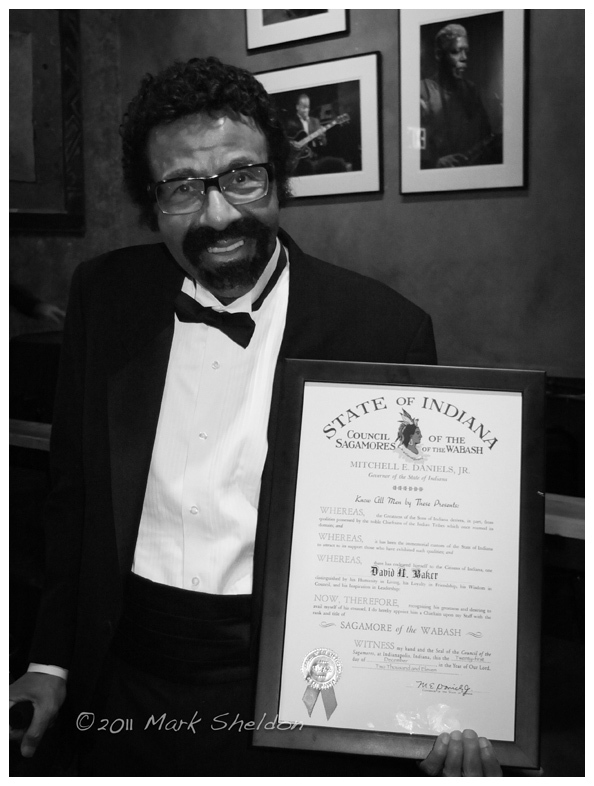 David Baker, the legendary musician, composer and Professor of Music at Indiana University was honored during his 80th Birthday Celebration on December 21st. The black tie celebration took place at the Jazz Kitchen. The night kicked off with a cocktail party, accompanied by pianist David Linard’s Trio. As a student of Professor Baker’s for the past three year and this year’s recipient of the Owl Studios “Emerging Jazz Artist Program” (EJAP), expect a lot more to be heard from him in the future! During a wonderful buffet, we were treated to a solo piano performance by another fine pianist, Zach Lapidus. Zach was a finalist in the 2011 APA’s Cole Porter Piano Competition and another one to look out for. Following Zach’s performance, David was presented with the prestigious “Sagamore of the Wabash” award. An award given by the Governor, past recipients include artists, astronauts, musicians, presidents, politicians and other citizens considered to have contributed greatly to our “Hoosier” heritage. Finally, the Buselli-Wallarab Jazz Orchestra took the stage to perform new arrangements of several David Baker’s compositions. This music is finally available on a newly released recording called “Basically Baker”. Pianist Monika Herzig was on hand as well. Monika recently completed a very good book on David’s life called “David Baker: A Legacy in Music”. It was a great night and I was happy to be a small part of it. Certainly a celebration befitting a man with David’s credentials! There will be another tribute to Professor Baker on the IU campus on January 21, including a panel discussion and several performance. See more here. For more on David Baker and his music, go here and don’t forget to check out David Brent Johnson’s outstanding Night Lights Program featuring Baker. Don’t stop there, Night Lights has many wonderful musician profiles and music on the “archive” tab….check them out and support the program if possible. 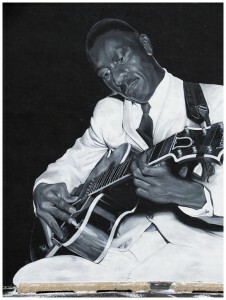 You are currently browsing the No Room For Squares blog archives for January, 2012.